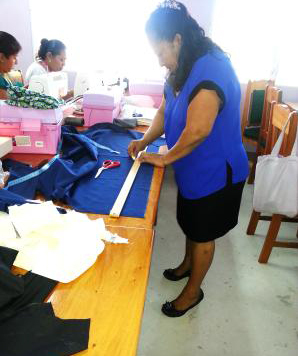 BELMOPAN, Wednesday 6 August, 2014: Residents from San Jose and Guinea Grass, Orange Walk District, who have successfully completed a vocational training in sewing, will receive ‘Certificate of Completion’ during Graduation Exercise at the Orange Walk Technical High School campus, at 10 a.m. on Saturday 9 August, 2014. 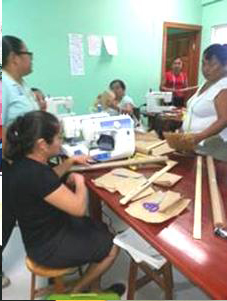 The Government of Belize financed the 10-month sewing project for the 30 residents in the northern communities at a total cost of $51,440.00 through a loan from the Caribbean Development Bank (CDB). 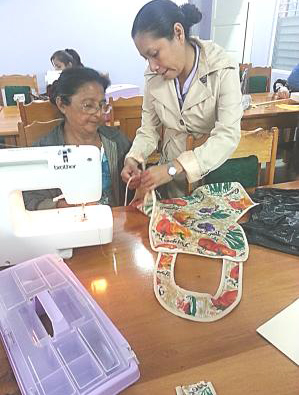 The training of the residents in sewing was a component of the San Jose Multipurpose Center and Guinea Grass Multipurpose Center sub-projects implemented by the Social Investment Fund as part of its mandate to work in line with the Government’s poverty alleviation strategy. Sewing was identified by the women’s groups as a skill since many of them buy custom-made school uniforms or sometimes travel to other communities in search of a seamstress. Acquiring this skill, will allow them to sew uniforms for their children and other families at a reasonable price, and in this regard, they can become self-sufficient. One notable feature is that the community of the twin villages of San Jose and San Pablo, and Guinea Grass village will benefit from these businesses and venture since these items have a market potential of a consumer population estimated at 5,000. The successful achievers are comprised of women’s group who have been equipped, and empowered with relevant skills training and competencies that will enable them to collectively engage in income-generating activities as emerging entrepreneurs. The sewing equipment, which includes 4 industrial and 20 regulars, will remain at the respective Multipurpose Centers for future production and programs. Small Business Training in the areas of Defining Entrepreneurship, Decision Making and Leadership, Market and Marketing, Business Opportunities, and Business Mentoring were also offered to participants. Both of these training initiatives formed the two capacity building components of the project. Recognizing the importance of community partnership and development, the women’s group plans to serve as trainers to residents in neighbouring communities as part of their development plan. Speakers at the official Graduation Exercise will include SIF’s Executive Director, Mr. Lamb, and Principal of Orange Walk Technical High School, Mr. William Polanco among others. San Jose Village is the second largest village in the Orange Walk District and is located some 9 miles from Orange Walk Town. The village has 2,533 residents. The first settlers of San Jose came from San Estevan Village. Most of the residents are engaged in sugar cane farming, but some are also engaged in educational, health, and public service sectors and construction industry etc. The village of Guinea Grass is located in the Orange District 9 miles south west of Orange Walk Town. The community has approximately 3,000 inhabitants of which the majority is of Mestizo decent who dedicate themselves to the cultivation of sugar for the export market. The name of the village derived from a high grass, named Guinea Grass which was founded during the time of settlement in the 1880’s. The Belize Social Investment Fund (BSIF) is one of the mechanisms utilized by the Government of Belize (GOB) in its poverty elimination efforts. BSIF has provided basic infrastructure and social services to poor and vulnerable communities throughout Belize. The resources of BSIF are used to finance sub-projects sponsored by central and local government agencies including the Village Councils and Alcalde systems, non-governmental organizations (NGOs), Community-based organizations (CBOs) and private-sector organizations.